"toilet facilities were a disgrace"
✅ Trip Verified | My wife and I spent nearly 2 hours at Auckland domestic terminal in the Koru lounge and the day was one of delays due to bad weather all over the country thus putting toilet facilities under immense pressure, but, For goodness sake Auckland Domestic terminal is not situated in a third world country and the toilet facilities at both ends of the terminal were a disgrace. Cubicles without toilet paper and the paper hand towels strewn all over the room, and at no stage did I see and cleaning staff within. I was embarrassed to see this area not having constant care, especially when the airlines are delayed and staff knowing that toilet areas would come under pressure with heavy usage. Not Verified | Terrible airport, takes well over half an hour for them to load bags off the plane when there are hardly any flights. No seating for older people to sit on, great big unnecessary obstacles in the carparks to make it nearly impossible to get anywhere with a trolley. "a long time to wait for a shuttle"
✅ Trip Verified | This is our first time in NZ, arriving in Auckland airport. The airport is small, and it took us a long time to wait for a shuttle to take us to our rental car. The outside, not as clean. Not Verified | Unbelievably quick and efficient. Arrived back in NZ after holiday in Hong Kong, arrived 4.15pm, flight was 1.5 hours late after amazing run-around at Sydney Airport during transfer, which was annoying as it threw us into late afternoon traffic into Auckland. What a pleasant surprise Auckland arrival was, we were expecting long delays after the rantings and ravings by a local Auckland radio jock, whose name rhymes with "busking", but we were amazed at the turnaround since our last visit, we honestly were outside waiting for a shuttle in 10 minutes, our bags were on the turnstile as soon as we arrived at baggage claim, there were plenty of auto passport scan booths available, the customs guy was friendly and chatty and with nothing to declare he waved us straight through, it's hard to believe but we were through our home airport quicker than either Hong Kong or Changi, well done Auckland, world class. "ordeal cost us time and energy"
Not Verified | After queuing up for quite a while (around 30-45 minutes) to check in our baggage at the MAS counter for flight MH 130 on 22/11/18, we were ushered to the Business Class check-in counter as it was free. The man at the counter weighed our luggage and told us that the total was 108kg (maximum baggage allowance = 90kg in total. Hence, we were supposedly 18kg in excess). We were shocked and couldn't believe it. We promptly went to the airport's weighing station to weigh the luggages ourselves and found that the total was only 56kg, not 108kg. Then, we had to line up again to check in our luggage. We went to a different counter and this time, the total was approximately 56kg. We do not know why the first weighing was so terribly inaccurate and shudder at the thought that we would have had to fork out money for the excess weight. We did inform the man at that first counter, just so he would be aware of this mistake and so it wouldn't happen to other people. However, he did not offer an apology. This whole ordeal cost us time and energy, and left us feeling too stressed to even eat. Not Verified | Very impressive service from the assistance team at Auckland airport in terms of helping a single mother travelling with a baby all the way. Fast and efficient. These girls made our day and deserve a reward. "Departure boards were not changed"
Not Verified | Delayed Air New Zealand flight one hour to Perth. Departure boards were not changed. Passengers waiting in "cattle pen" which can only accommadate the number for boarding a small aircraft not a 787. Air New Zealand were also to blame for not making announcements. Not Verified | I fly into Auckland from Australia 4 or 5 times a year. I generally arrive on the flights arriving around midnight. These flights are mostly early due to the westerly weather pattern. Last night we arrived around 15 minutes early and had to wait for ground staff to clear the approach and flag us in (that was the pilots comments apologising for sitting on the tarmac away from the terminal). After 10 minutes or so, the plane docks. This is not an isolated occurrence and surely the ground crew know the planes generally arrive early so planning for that might be a good idea. I watched a sullen person bring out cones and an extinguisher etc in dirty hi viz clothing before we then moved up to the gate. Passing though immigration was quick and I arrived at the baggage carousel about 15 minutes after getting off the plane. The carousel number 3 sign posted as our flight baggage claim started up shortly after I arrived and the priority bags arrived simultaneously and were collected by their owners almost immediately. My bag arrived approx 45 minutes later than the priority baggage, as did the bags of much of the planes economy passengers. This is extremely poor performance and more so because no official came to offer an explanation or apology to the hundred or so passengers waiting for their bags. "Not the best NZ has to offer"
Not Verified | What a dump. Disconnected, all shops, few restaurants. Strange interrogation right before boarding flight. Very limited free WiFi. Horrible connecting between domestic and international. Not the best NZ has to offer. 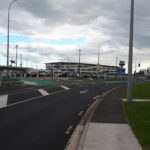 "service desk however was horrible"
✅ Trip Verified | I was droping off my mother at Auckland airport yesterday for her first ever trip to New Zealand visiting myself and her grandchildren. She's coming back to Indonesia by herself using Singapore Airlines. Due to her lack of English, the airline had told me to go to service desk to ask for assistance so she could go to the gate that she's supposed to. The lady at the service desk however was horrible. She was rude and started yelling at me. I had done nothing but wait patiently in the queue, and she told me to move away, and back off. I thought people at the customer service were supposed to be friendly and helpful? This lady was not friendly or helpful. 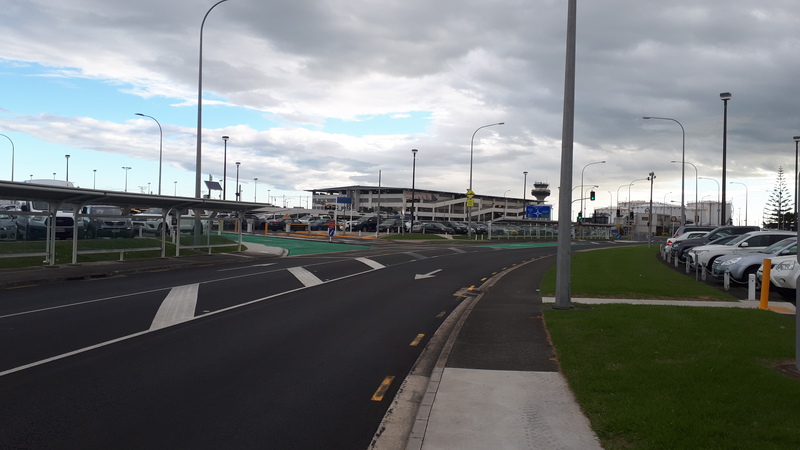 So Auckland airport, New Zealand is famous for how friendly and nice the people are here, you put that horrifying kind of person as your representative at the service desk, this was a big mistake.